The Deskdrawer... | For all that stuff that needs a decent place. For all that stuff that needs a decent place. Yeah so it has been a while. I am still very much alive and kicking but a lot of stuff has happened in real life so I was a bit occupied. However I am not going to bore you with that stuff. In my search for not so 3d I stumbled on this talk about workflow through lester banks. Very inspiring. Still a lot of work to do but the outfit is progressing nicely. I’ve been working on the hair some more. I did a detail pass in Zbrush and baked out the normal map. I see in this render it just needs a little more refinement and I think I need create a color base with polypaint to break up the solid nature of the hair now. But I am heading in the right direction. It is funny how Overwatch, a game that I play, seems to creep in to the concept. So I’ve created the base for the hair on top of the zbrush build up. It proved to be a nice guide to get an idea how to build it up. It still looks like she is wearing bananas but I am sure if I add one more layer of detail it will look good. Another thing that changed are the teeth. At first I wanted to keep the simple version but with the current texture I felt like she needed some proper teeth. I am really happy with how the eyes turned out. Next up finishing up the hair and start with her outfit. 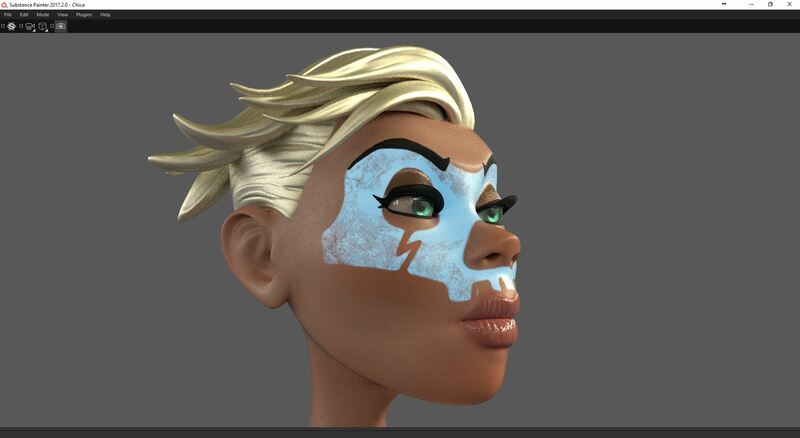 I decided to redo the hair and thus went to zbrush to block it in better. Here you can see a timelapse of the process. 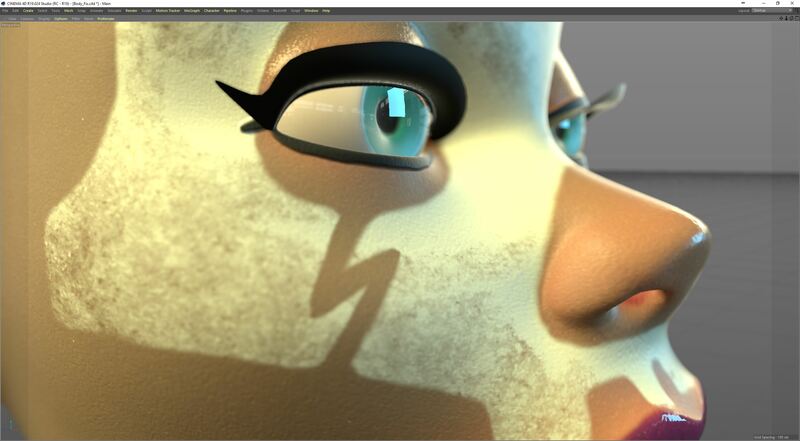 I am currently retopologising it in #cinema4d. Progressing, but still a long way to go. Still having lots of fun!